Premoistened Personal Washcloths with a fresh scent are a quick and convenient alternative to soap and water. These extra large and extra soft cloths are ideal for quick personal clean-up. Large cloths are designed for full-body cleansing. Dermatologist tested and hypoallergenic, these washcloths are perfect for everyday use to clean and refresh. Ideal for removing dust, grease, grime, and soil. 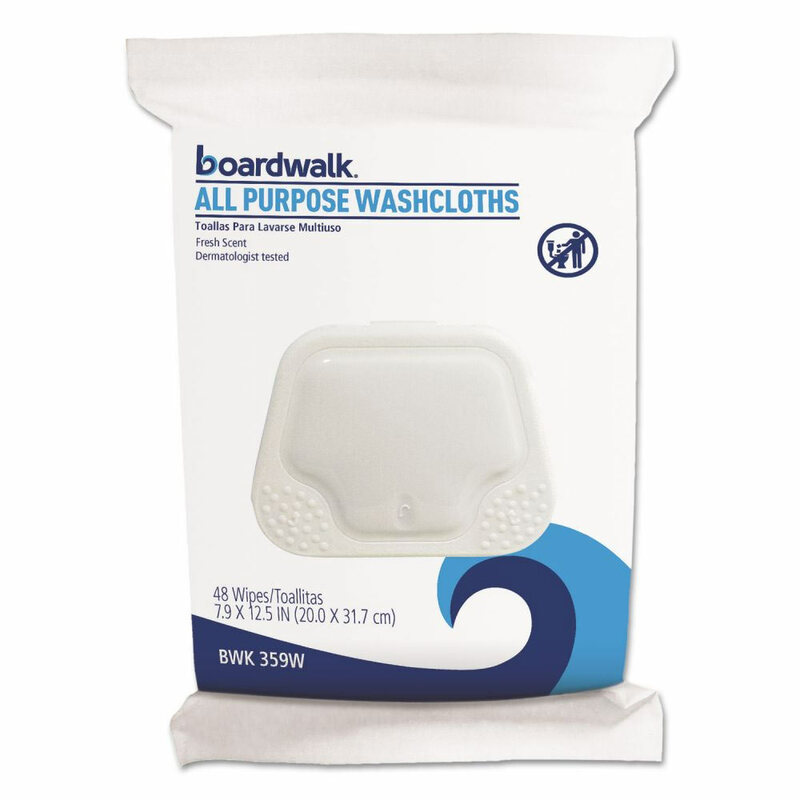 Plastic lid is easy to open and close, ensuring wipes stay moist and ready-for-use! Measures 12 1/2 x 7 9/10 inches. Includes 48 per pack, 6 packs per case. Material made of Spunlace Cellulose.